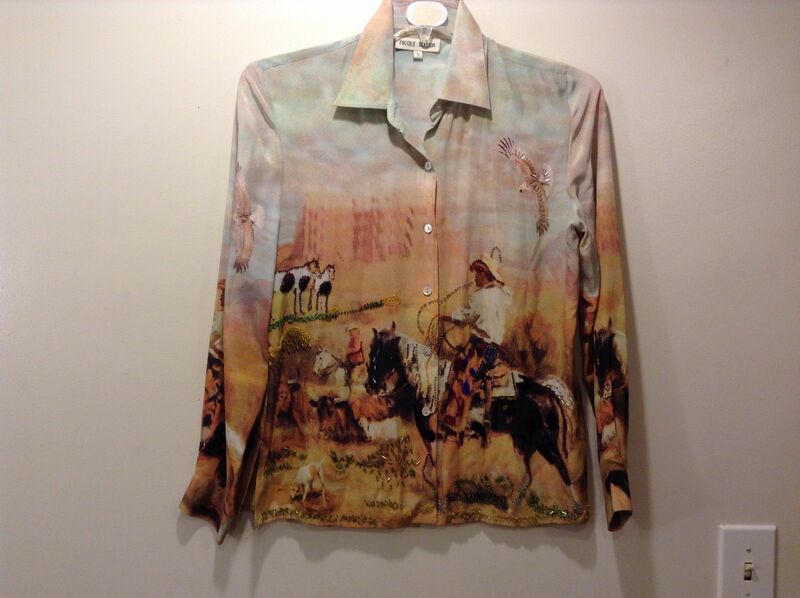 Ladies western-style landscape/story, long-sleeve, button up, collared shirt by 'Nicole Taylor'. 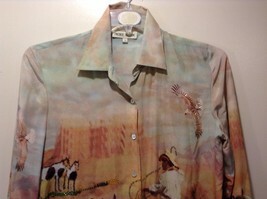 Landscaping on shirts includes cowboys, cows, horses and eagles and decorative beaded embellishment. 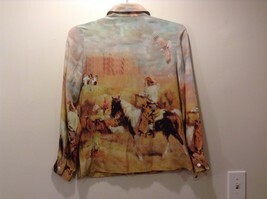 Shirt is 100% silk! 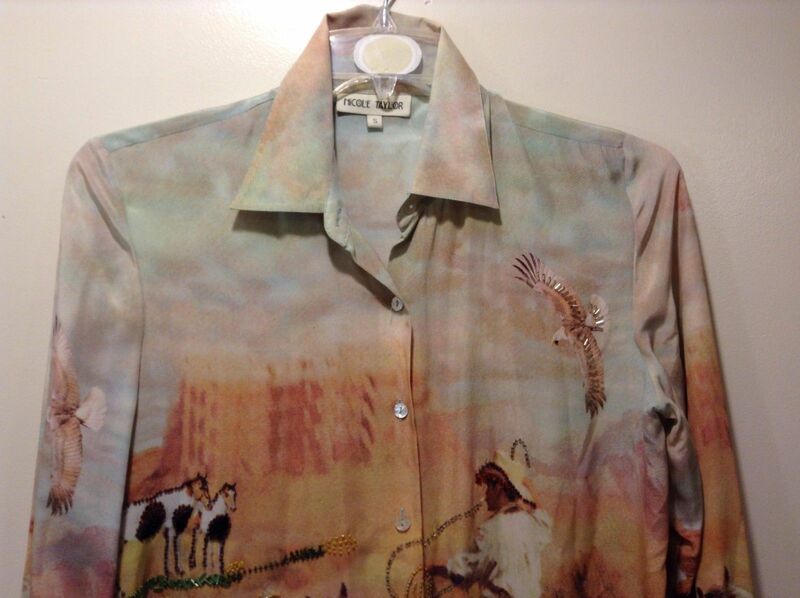 Blouse is a size small and is in good condition! 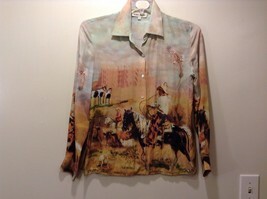 Blouse is a size small and is in good condition!! 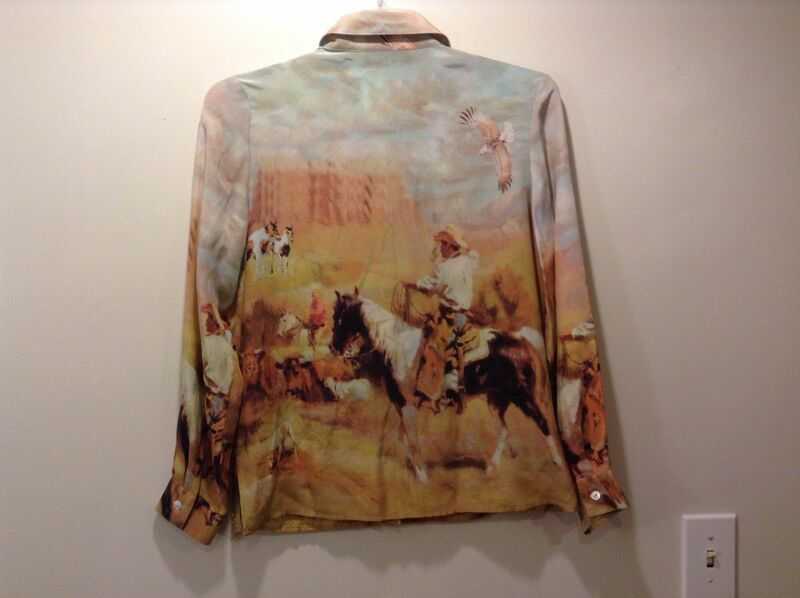 Please check measurements to ensure it's the proper fit for you!